Hello! We need help from fellow guitarist. Our company 'Alsing' has a new product release: 'Alsing Guitar Stand'. It retails on Amazon.com for $12.99. It needs PRODUCT REVIEWS! So here is the deal. You purchase the guitar stand on Amazon.com You can use the promo code "ALSING03" to get a discount. 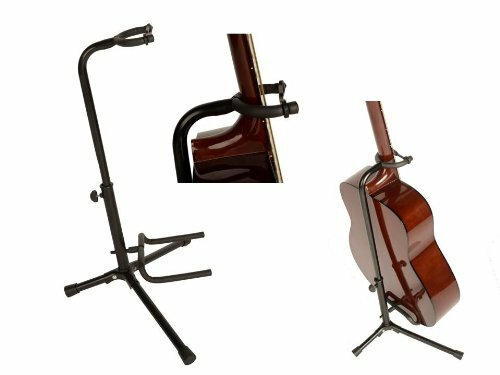 HOWEVER: once you receive your guitar stand, and post your review, you can email (mcameron@clearfive.net) your paypal account, and we will REFUND YOU THE COST of the stand. If you are a guitarist, this is a no brainer. However we are making this available to the FIRST 5 PURCHASERS! Re: Try Our New Guitar Stand for Free! It looks almost identical to the XCG guitar stands in the studio here - the only (small) differences are in the neck clip at the top and the twiddly bit to extend its length. I hope it sells well for you.